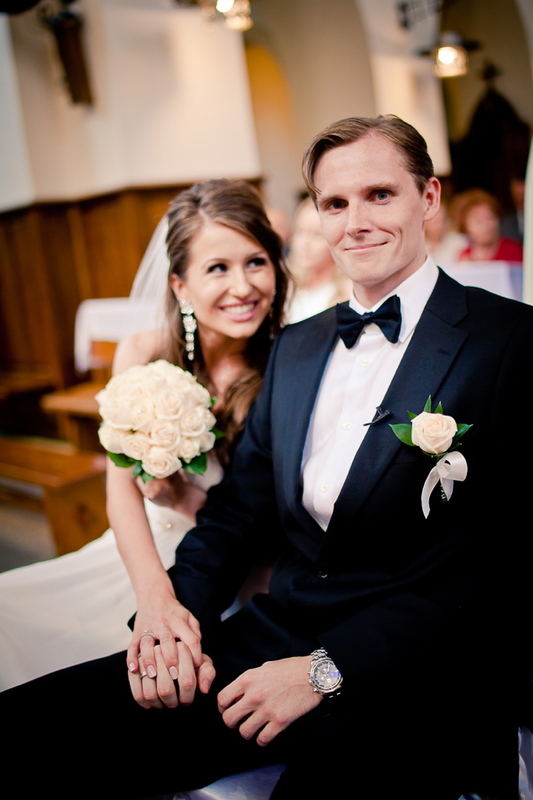 4 years ago on July 20th 2013, my husband Tom and I said ‘I do’ to each other! I can’t believe it’s been 4 years already!! The time has definitely flown by way too fast but it’s been wonderful to see us grow stronger (and wiser 😉 ) together. In 4 years, I moved from Poland to US, got my first job in New York, became a godmother to my adorable niece, traveled to so many beautiful places, and witnessed and learned so many wonderful things. Since I haven’t shared much with you yet about my personal life and since we got married before I ever started blogging, I wanted to take our 4th wedding anniversary as an opportunity to share with you some photos from our wedding. Tom and I met when I was on vacation in the States. I was majoring in English Language at that time and I always wanted to visit America so I finally convinced my mom to take a trip with me. We stayed at my mom’s friends house and guess what… their son’s name was Tom 🙂 We immediately hit it together and shortly after I returned from my trip, we became a couple. It wasn’t easy as we had to be in a long distance relationship for 3 years (yes, it’s possible!!) until I finish my eduction. 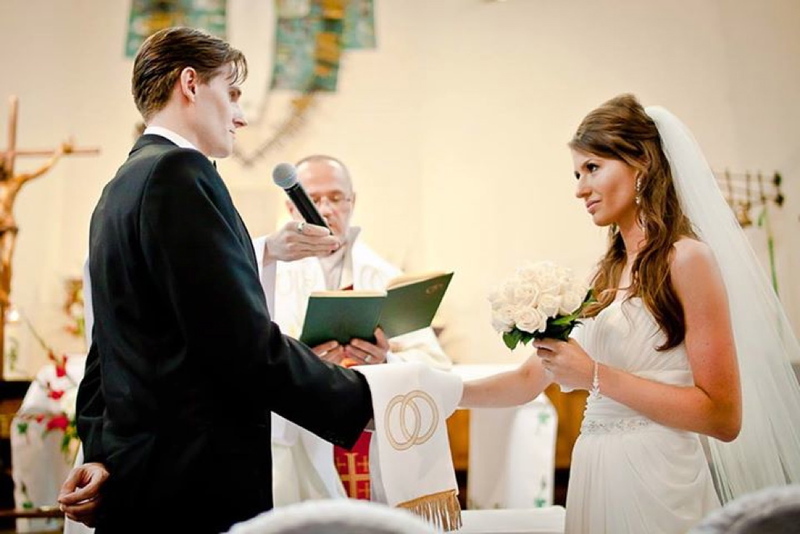 The minute I graduated from my university and finalized all the papers, I moved to the States and started planning our wedding. 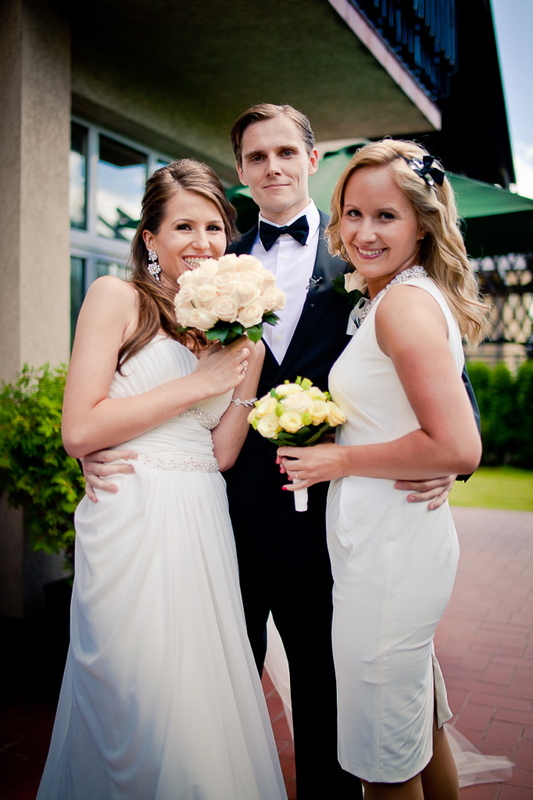 Since my entire family and all my friends live in Poland and since Tom is Polish as well, we wanted to get married in Poland. We had a very beautiful and emotional ceremony (both of us could barely utter a word) followed by an amazing and fun reception that lasted until 6am! 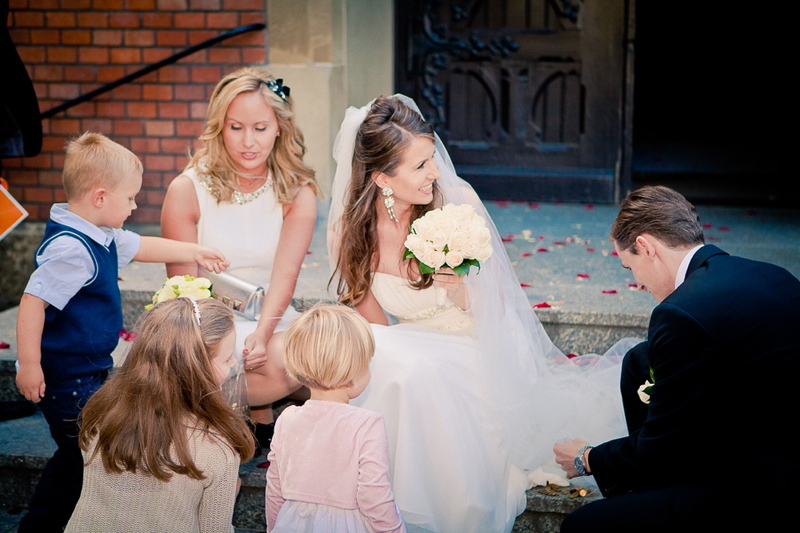 It was a truly fairy-tale like wedding every little girl can dream of. The weather was simply beautiful and we enjoyed a ride to and from the church in a horse drawn carriage that was a gift from one of our family friends. I was very blessed to celebrate this very important day in our lives with all my family and friends and to have a chance to see them all together before I settled in the States for good. 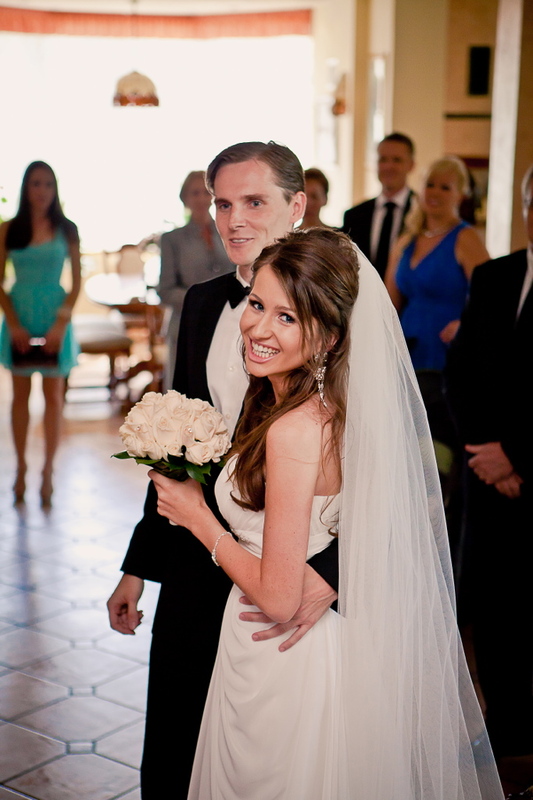 For my wedding, I chose a very simple wedding dress but I paired it with statement earrings. 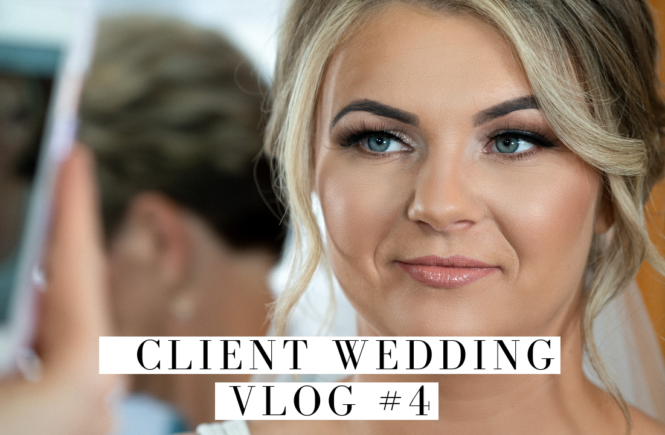 Even though I was at the very early stages of my second career as a makeup artist, I did not trust anyone else to do my wedding makeup so I did it myself. There was a point during the makeup application that I almost regretted it because my hand was shaking with excitement when I was doing a liner, but I managed to pull it off and I was very happy with my decision after all. I’ll always remember how happy, full of love and cheerful we were that day. It was truly THE best day of our lives yet and I’m certain that many more beautiful moments are ahead of us. I can’t wait see how many amazing things we will accomplish together. Cheers to another year together!! Zwiastun Katarzyny i Tomasza from Agencja Filmowa IMAGE on Vimeo.